Watch Dave and Muggs Review of the PowerAll All-in-One Portable Power Bank, Battery Jump Starter, Bright LED Flashlight. Buy one for $99.95. Each additional unit for $89.95. We ship anywhere in the continental United States*. We do NOT deliver outside of the continental United States. Any orders not within the United States will be cancelled and refunded. *Each unit shipped separately. Shipping and Handling is $25.00 per unit, mailed USPS priority mail anywhere to the continental United States, insurance included. Local tax rate applies for residents in Arizona. In roughly my 20th year of attending the CES consumer electronics show, rarely do I see something that blows me away, in fact the last thing I saw that was as amazing as this was the IPod. Ok, that being said this new device is called the PowerAll All-in-One Portable Power Bank, Battery Jump Starter, Bright LED Flashlight and it is now available at Sounds Good To Me in Tempe, AZ. This is the coolest thing coming out of the International CES Innovations Design and Engineering Awards. 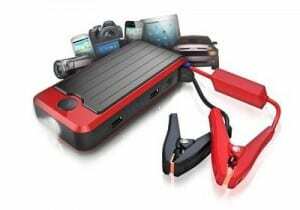 A 2014 Honoree, the PowerAll it is a Battery Jump Starter for your car, boat or other vehicle. When fully charged this device will charge up to 20 cars and it comes with its own jumper cables. Most amazing you can charge it once and it will hold a charge for between 3-6 MONTHS! 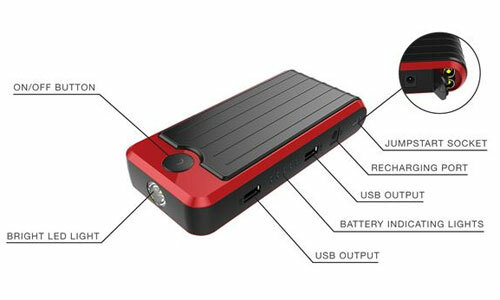 Power All is a Portable Power Bank, a charging device roughly the size of 2 cell phones; it can charge cell phones and tablets with 2 USB inputs for multiple charging. It is a powerful, compact, charge-everything device. Take it with you and you never worry about your smart phone or tablet running low on battery ever again. It comes with a great, easy to store accessories box and carrying case that includes a main USB adapter cable with 8 different adapter plugs that will fit most major portable electronic devices, a pair of portable heavy-duty jump start cables and an AC and DC to recharge your PowerAll at home or on the road. If your car won’t start, you don’t have to call a tow truck service for assistance. If you need an emergency flashlight or a flashlight for camping, it’s got a Bright LED Flashlight that has the ability to flash SOS nonstop for 2-3 days. This is the Swiss Army Knives of auto electronics. It’s a great device to have in your car and a must for your boat for easy use and storage that fits inside your pocket or glove compartment of your vehicle. PowerAll sells for $119.95 retail…we will sale this amazing device for $99.95 or buy 2 or more and get it for $89.95 each, that’s 10% off the sales prices! At last check they were sold out on e-bay and we currently have them in stock at Sounds Good To Me in in Tempe, Arizona next to Arizona State University and Phoenix AZ. That’s a great deal for you Sun Devils and anyone that lives in and around Tempe, AZ. Watch our testimonial of the PowerAll All-in-One Portable Power Bank, Battery Jump Starter, Bright LED Flashlight. Hey ASU! Get the PowerAll Portable Power Bank, Battery Jump Starter and Bright LED Flashlight for only $90 w/ ASU ID. Limit 2 per student. We are now selling the Powerall on-line via PayPal. Our apologies for the delay in reply.